headquartered TIME Hotels Management is adding to its hospitality portfolio with the launch of O’Learys US sports-themed restaurant on Dubai’s Sheikh Zayed Road, opposite Noor Bank metro station. Opening on 1 June 2016, the casual dining venue will have a total capacity for 250, spanning six different seating areas within the restaurant, the terrace, in the shisha area and around the bar. 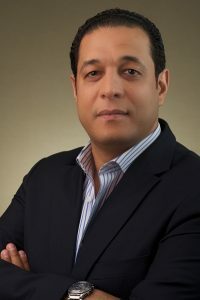 The move marks TIME’s second O’Learys franchise, following the launch of its debut outlet at Fujairah Mall in January 2016 – the company’s first ever non-hotel product. The 596-square-metre O’Learys in Dubai is set to become a popular venue for drinks and bites while watching the big match, enjoying a meal with family and friends, or simply relaxing with colleagues after work. It will boast a menu of classic burgers, signature buffalo wings, cheesy quesadillas, ribs, nachos and desserts complemented by an extensive collection of non-alcoholic cocktails and soft beverages. For fans of the “big game”, including the forthcoming European Championship finals, an impressive 21, 55-inch and three 60-inch television screens will line the venue while kids large and small can enjoy the games arcade featuring pinball, Pac-Man, Transformers and gaming hoops, as well as foosball and air hockey. The interior design is based on the famous colours of Boston sports teams – a combination of deep green, burgundy red and dark brown. Walls are covered with a wide selection of sporting and Boston-themed memorabilia. With a 2014 global turnover of US$186 million O’Learys is primarily located in high street locations, shopping malls and at popular travel locations around the world. The current tally of O’Learys’ restaurants worldwide totals 120 outlets in ten countries spread across Asia, Europe and the Middle East. In the UAE, TIME operate the 275-square metre, 163-cover O’Learys at Fujairah Mall, which is linked to an indoor karting area and laser shooting gallery covering some 2,240-square metres. There is also an outlet situated in Abu Dhabi International Airport. O’Learys was founded by Jonas Reinholdsson, a Swedish restaurateur who worked on the island of Nantucket, located south of Boston, Massachusetts, in the mid-1980s. He was inspired by Bostonian restaurants where people came to watch games and share their passion for sports. 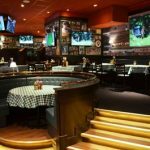 The food, the service, the interior design and the sports theme created an atmosphere Reinholdsson brought with him back to Sweden where he founded the first O’Learys in 1988 in Gothenburg.